The drug is the aerial part or root of Doellingeria, scaber (Thunb.) Ness (family Compositae), growing in hillsides, grasslands, scrubs, and distributed in most areas of China. The aerial part is used to remove toxic heat, dispel wind and relieve pain, to regulate the flow of qi and activate blood circulation; for the treatment of rheumatic arthralgia, common cold with headache, inflammation of eyes, sore throat, snake bites. 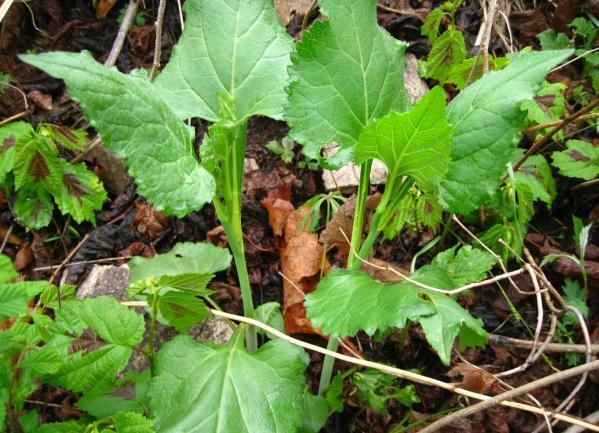 The root is used to dispel wind, regulate the flow of qi, activate blood circulation, relieve pain; for the treatment of diarrhea, rheumatic arthralgia,traumatic injuries. Decoct 15~30 g. Proper dosage is for external application, pounded for applying with the fresh.